A family with problems and little money is living in the back to back houses of 1950s Birmingham. Tony, an only child brought up in an environment of raised hopes and broken promises, vows never to let it happen to him. 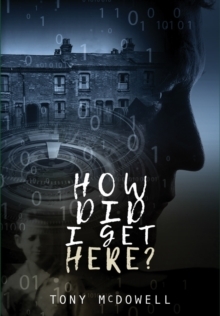 Determined to succeed Tony left school early, having been offered a position in computing where he found himself at the beginning of the technological revolution of the mid-sixties. Becoming a programmer, Tony learnt the complex languages of the day that require in-depth technical knowledge. After accepting a position in South Africa, the author faced challenges of an uncertain future, apartheid and dictatorships, until monetary success allowed him to fulfil a lifelong ambition of owning his own business in the UK. Working his way up the business ladder, Tony was, at last, in a position where he no longer needed to work. When a chance meeting introduced Tony to the world of IT security and ethical hacking, he started a new IT security business and the new company grew quickly. An offer to buy the business appeared out of the blue and could give Tony everything he had ever wanted: recognition, wealth and a secure future.